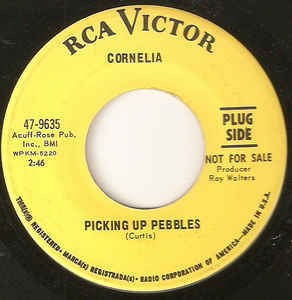 One thing I found a little odd when first hearing Cornelia’s ‘Picking Up Pebbles’ was where was she finding these pebbles because, as anyone knows, South Africa has sandy beaches, not pebbly ones. So I did a bit of research and found that the song had been recorded by a guy called Matt Flinders who was born in Alexandria in Egypt, then moved to the UK when he was 13 and then to Australia a year later. So maybe he picked up on pebbly beaches during his year in the UK. But further reading revealed that Flinders’ version was a cover of a track by UK artist Johnny Curtis and this made sense as the UK beaches tend to feature pebbles more than sand. The song is one about the loss of youth, told from the point of view of a grown up remembering the games of their youth. Both Flinders’ and Curtis’ version are melancholic offerings and while Cornelia brings a feminine voice to the song, she beautifully maintains the feel. As we all grow older, we all look back at those innocent times of our youth and it was probably that nostalgia to some degree that rocketed Cornelia’s version to the top of our charts where it sat for 4 weeks. Flinders managed to get to 4 in Australia while Curtis’ version doesn’t appear to have charted anywhere, which suggests that either Cornelia’s version of the song had more appeal, or we South Africans are just more nostalgic. I like to think that it’s a bit of both. ‘Picking Up Pebbles’ was one of those songs that has an innocence intertwined with a maturity that somehow appeals. And Cornelia’s delivery of this short but sweet song certainly appeals, especially to one like me who loved to skim stones as a youngster.